The Pro50 and Pro60 use an 8-hole and 10-hole mounting flange, respectively. The AXN Pro Series is lean and mean. At under 187 lbs. for Pro50 and 206 lbs. for Pro60, form and function still goes hand in hand with quality. The AXN Pro Series gearbox comes standard with specially formulated grease and our grease containment system extends maintenance intervals. AXN brings you a unique and strong gusset in combination with a robust, formed axle tee housing. Support where you need it, when you need it! 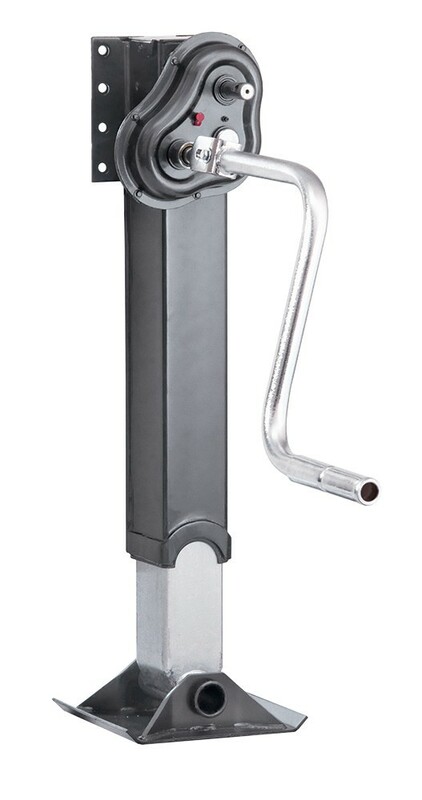 Made of forged steel gearing, the Pro Series has a balanced combination of speed and power. * Footware options are also separately available galvanized. 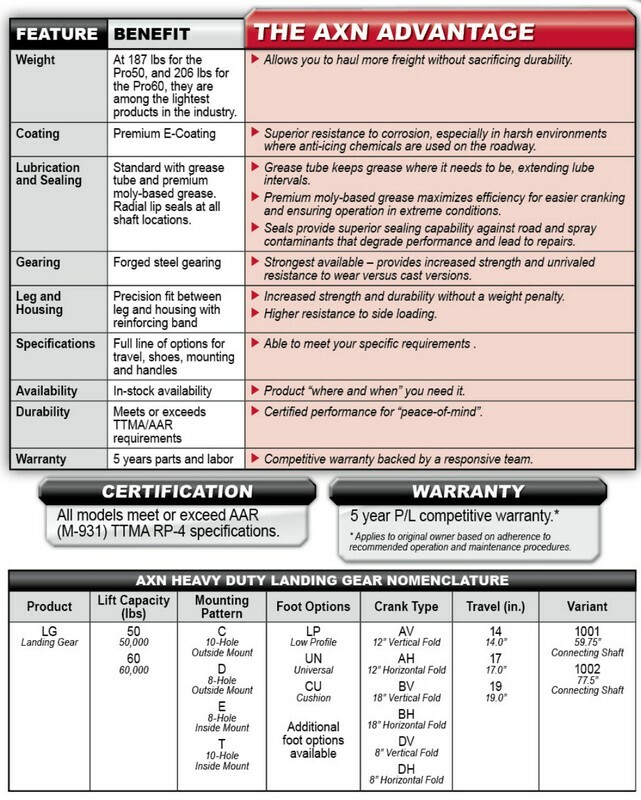 AXN Pro Series Landing Gear are backed with a competitive 5-year* warranty. 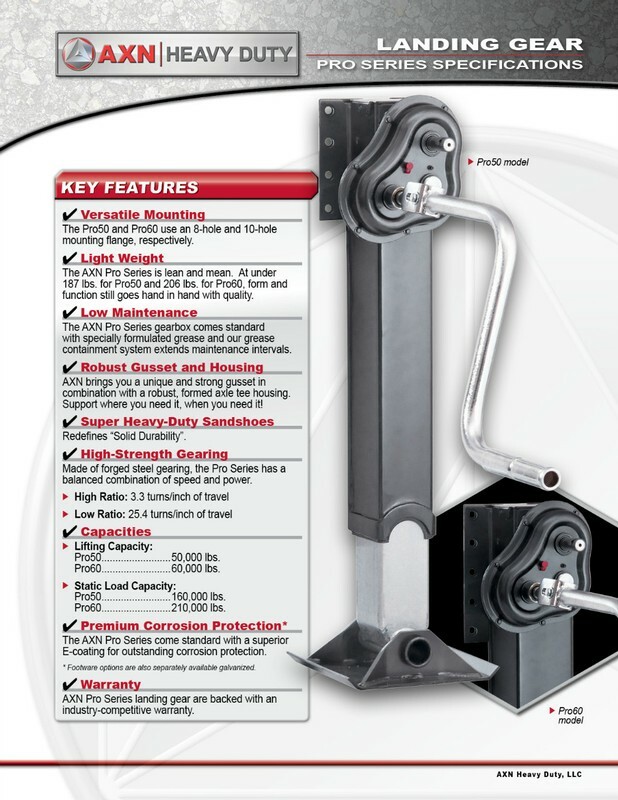 * Specialty axles and non-standard applications may be excluded.